Your fortune rests on the turn of a key! 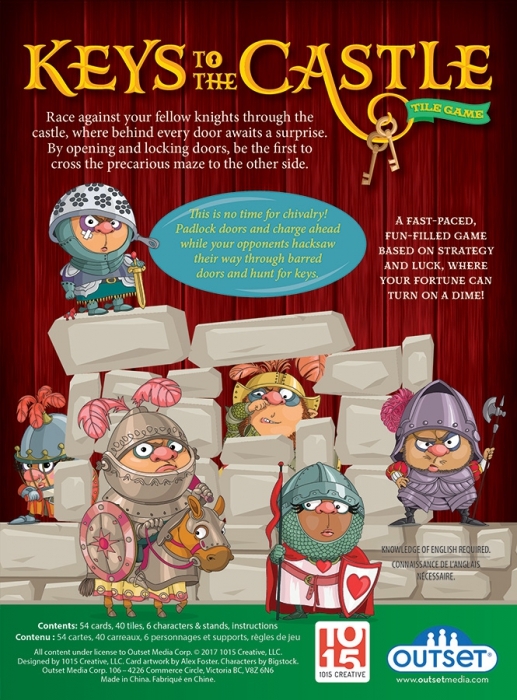 In this fun-filled game create a path through the castle, competing against your fellow knights to be the first to reach the opposite side. Open and lock doors (behind each one hides a surprise! ), use strategy and a little luck, as you charge across the maze to the other side. Arrange the tile cards, your doors to the castle, in a random order to create your maze – this means a new maze every game! Then pick a card, play a card and move if you want to! Using action cards, open and lock doors, hacksaw barred ones and put a net on opponents that are advancing too quickly. 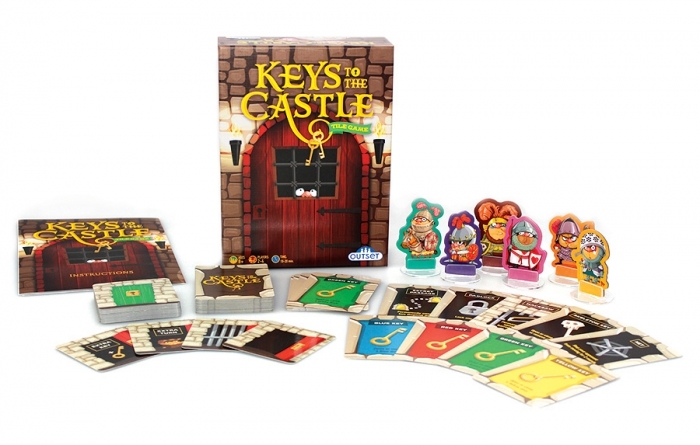 Charge ahead using a secret passage or padlock a door to halt a knight! Think strategically as you advance on your path. 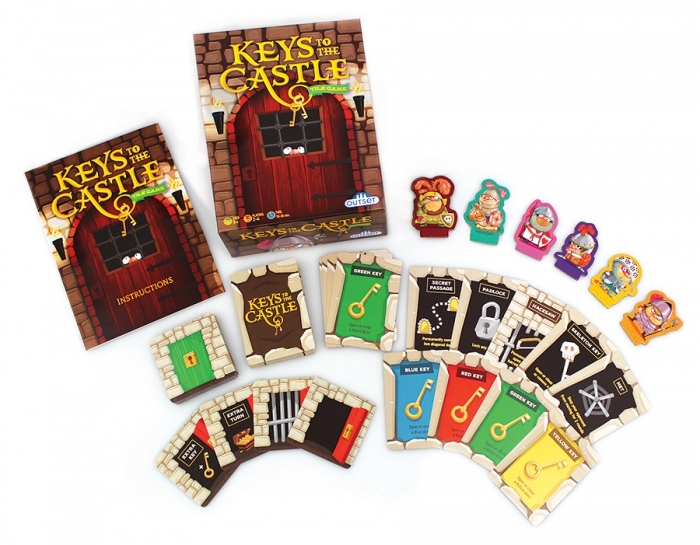 The aim of the game is simple – advance across the maze of door tiles as quickly as you can to move from one end of the castle to the other. Arrange the tile cards, your doors to the castle, in a random order to create your maze – this means a new maze every game! Then Pick a card, play a card and move if you want to! Using action cards open and lock doors, hacksaw barred ones and put a net on opponents that are advancing too quickly. 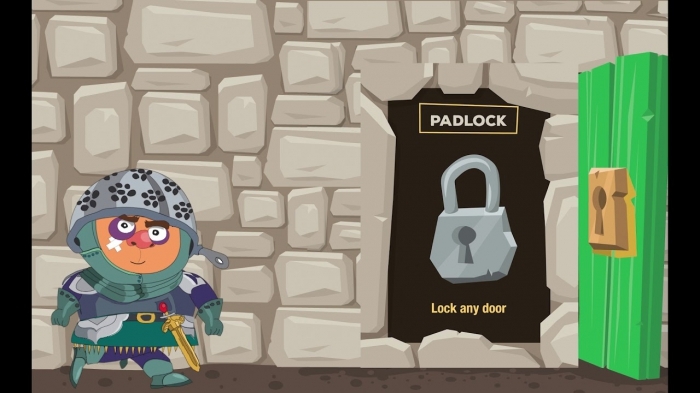 Charge ahead using a secret passage or padlock a door to halt a knight! Think strategically as you advance on your path. 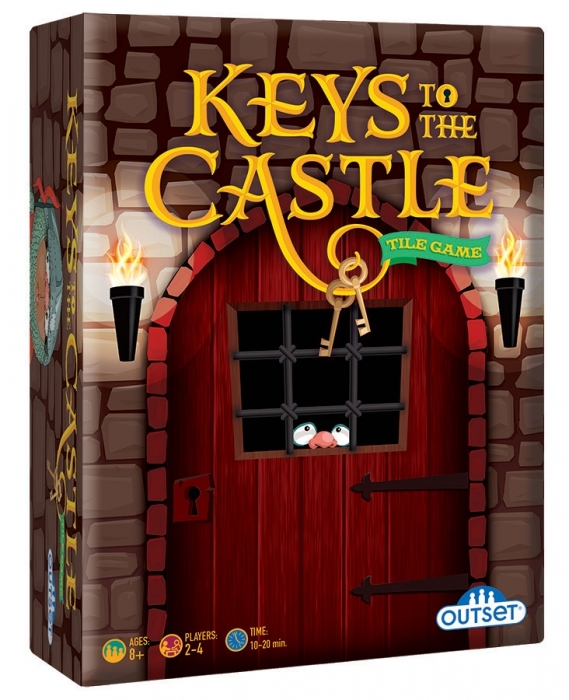 The aim of the game is simple – advance across the maze of door tiles as quickly as you can to move from one end of the castle to the other.